Opposition is spreading fast. The House of Lords may vote to block the Bill’s progress in Parliament (for a while at least). This is the time to step up efforts and build the march against the Bill – to show our united determination and pressure MPs to oppose it too. 50,000 leaflets have gone out in the last week. 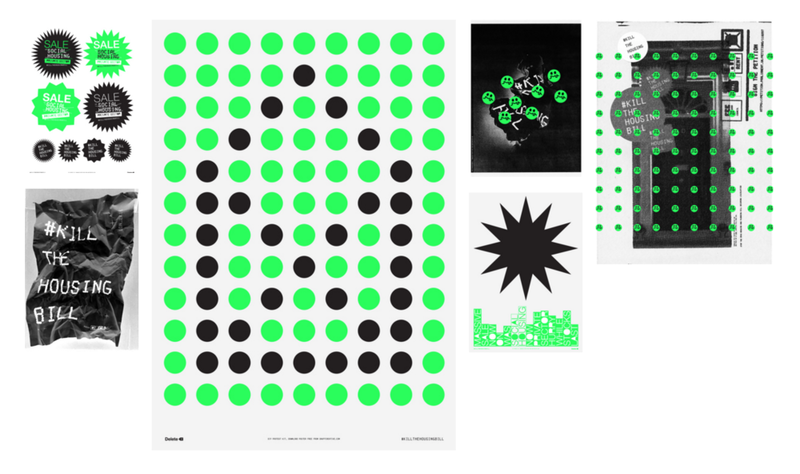 Posters and stickers are also now available. New supporters include National Union of Teachers, CWU post and telecoms trade unions, Peoples Assembly, two London councils and the Momentum campaign (supporters of Jeremy Corbyn). And 74 academics nail the Housing Bill – seeGuardian letters (the second letter). * Can you phone 5 tenant groups/reps in the next week to help get the word out ? We can send a list, plus suggested ‘script’ of points. Please email if you can help. * Lords – can you email 20 Lords to explain why the Bill is wrong? – use leaflet, posters, stickers and petition. Collect from Unite office 128 Theobalds Rd WC1X 8TN (check first if you need a lot ) or email to get them posted. 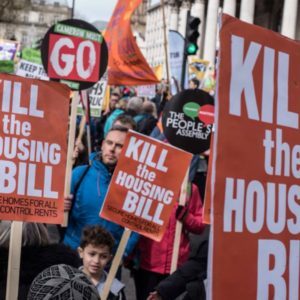 The Kill the Housing Bill Campaign has already organised protests, lobbies and meetings aimed at bringing the Bill down, or making it unworkable. Walworth East Area Forum has already voted to oppose the Housing Bill and urge Southwark Council to do the same. The Housing and Planning Bill will not solve the housing crisis. It will make it worse. It will force people from their homes, families and communities, into insecure private renting. • To urge Area Forums and TRAs and SGTO to adopt this motion and organise local activities against the Bill. TO: MINISTER OF STATE FOR HOUSING AND PLANNING. BRANDON LEWIS MP. 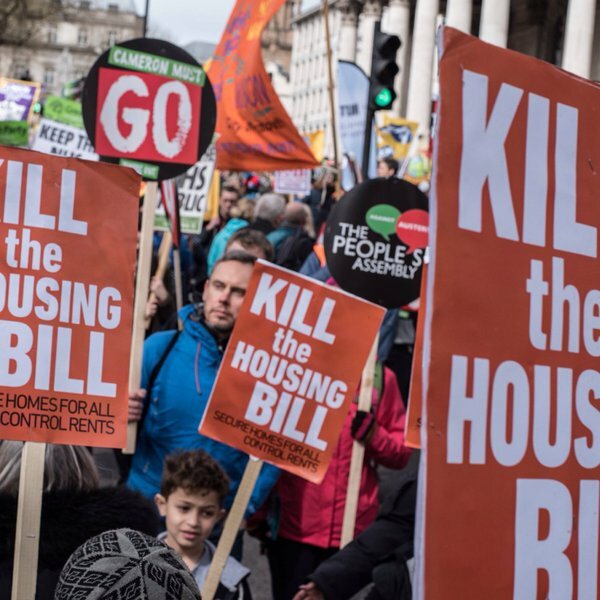 The Housing Bill will take away public funding from affordable homes for rent, instead funnelling money into ‘Starter Homes’ that only the rich can afford. It will make it easier for private landlords to evict renters, and do nothing to control private rents. Social housing has been the bedrock of many communities for the past 70 years. It pays for itself and 30 years ago provided homes to one in three British people, allowing people and communities to thrive. We are not against people buying a home, but this must not be at the expense of social housing for those who can’t afford to buy. 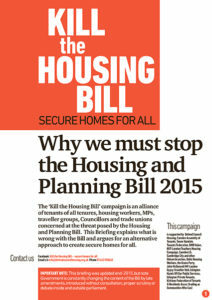 The Housing Bill marks the end of social housing. The Housing Bill condemns millions more to a lifetime of insecure private renting. It is a charter for estate demolitions and property speculation driving up rents and house prices. The end of secure lifetime tenancies. Council tenancies will be for 2 to 5 years with no right to pass it on to your children. Landlords will have access to tenant’s personal income information and if households start to earn over £40,000 (a couple on the living wage) they will be hit with a PAY-TO-STAY TAX for the difference between their social rent and the market rent – in Waterloo that would be an average of £26,000. Local authorities will be forced to sell ‘high value’ properties whenever they come vacant – what flat in London is not high value? 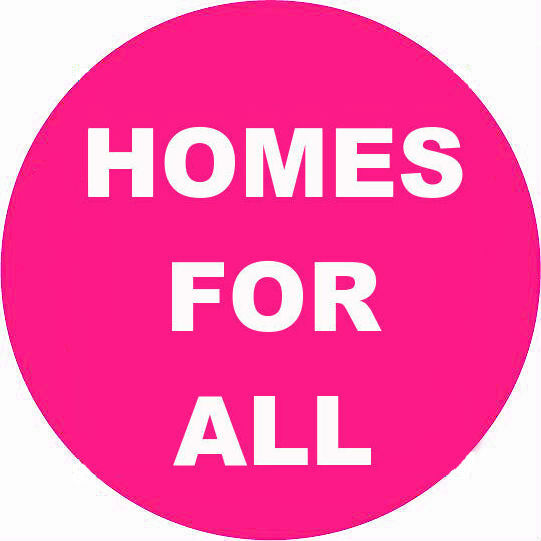 Housing association tenants will get the right to buy, so reducing stock further. Private renters and Travellers to have reduced housing rights. Developers will have to build ‘starter homes’ for sale instead of ‘affordable’ homes for rent. Starter homes will be worth up to £450,000 and sold at a 20% discount – but only to people with enough money to get that kind of a mortgage!